In some organizations, changing directions, culture, or business processes can often feel like trying to turn an aircraft carrier. For Texas A&M University's Help Desk Central (HDC), it's no different. HDC's seven full-time staff and 50+ student technicians handle an annual volume of 140,000 contacts and experience a near-95% turnover rate every three years, losing its best and brightest to graduation and internships. In this session, learn how Texas A&M's 18-month Knowledge Center Service (KCS) voyage helped strengthen its documentation practices, bolster its knowledge base process development, and accelerate employee time-to-proficiency while challenging attendees to think about how KCS might assist them on their own continual service improvement journey. How to develop a KCS implementation plan. 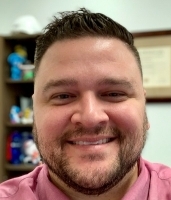 Jon Griffey is a Texas A&M alumnus who now serves as an associate director with the University's Division of Information Technology. 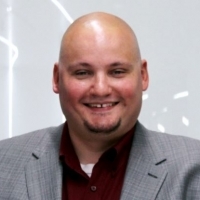 With over 17 years of IT experience, Jon is responsible for the University's service desk operations, which include the Division of IT's Service Management Office and computer support services, as well as the University's IT Help Desk and Software Center. Jon is certified in KCS Foundations and holds his HDI Support Center Director certificate. 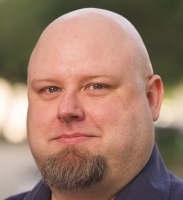 Michael Crocker is an IT manager with Texas A&M's Division of Information Technology, where he is responsible for the service desk's knowledge management and documentation processes. He's been in the IT industry since 1998 and has experience in IT operations, customer support, and process development. Michael is certified in KCS Principles and holds his HDI Support Center Team Lead certification. Matt Lacy is the senior IT manager for Texas A&M University's Help Desk Central. Matt leads a team of approximately 55 student workers and six full-time staff to operate A&M's central help desk. With more than 17 years of IT experience, Matt plays an integral strategic role in many of the organization's continual service improvement efforts. Matt is currently studying management in the Mays Business School at Texas A&M University, and was the recipient of 2018 Texas A&M Student Employment Impact Award. Matt holds is certified in KCS Foundations and holds his HDI Support Center Team Lead and HDI Support Center Manager certificates.